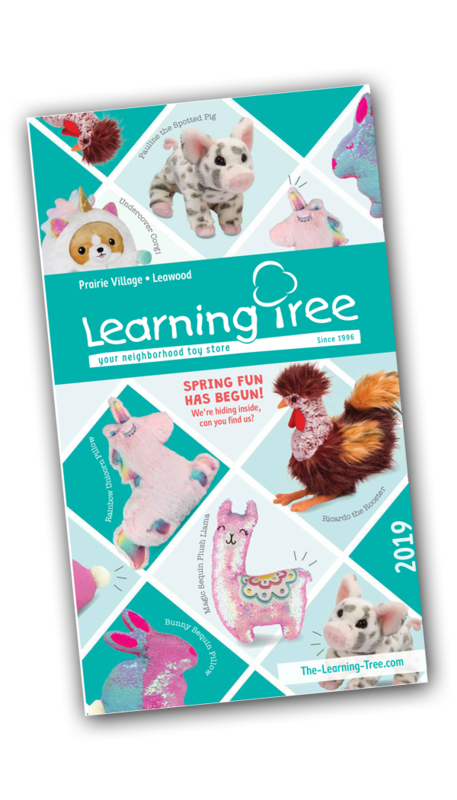 Take a sneak peek at our Spring Catalog, and read about our upcoming family friendly Spring Learning Tree Events. Come play with us! This Saturday, March 23rd is National Puppy Day! We know you have the cutest pup in town. 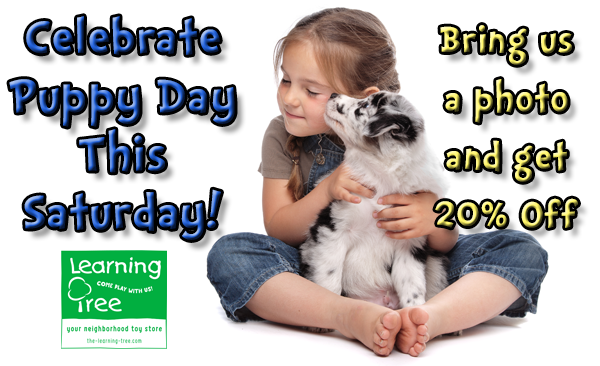 So, show us a picture of your furry friend when you’re in on Saturday and get 20% off your purchase! We love puppies! Nope, it’s not an April Fool’s Joke! Corinth Square Learning Tree is getting a re-do! 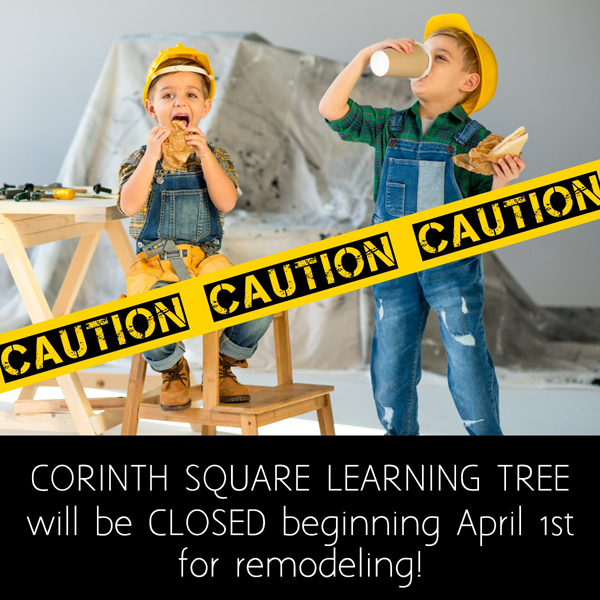 We’re locking the doors and closing the shop on April 1st for remodeling at Corinth Square Learning Tree. When the dust settles, and the work is through we’ll have a spiffy new look! Park Place Learning Tree will be open as usual and ready to help. Check for updates on our project on social media and in our emails. Take a sneak peek at our brand new Spring Catalog! Click the link and find out what’s in store for the season. New toys, games, books, puzzles and gifts are waiting for you! There’s also a coupon inside with Spring Savings! Check out the Learning Tree Spring Calendar Highlights! Add a few to your calendar and check in for a full list as we keep adding to this list of family fun. Saturday March 23 Corinth Square and Park Place: It’s National Puppy Day! We know you have the cutest pup in town. Show us a picture of your furry friend today and get 20% off your purchase! 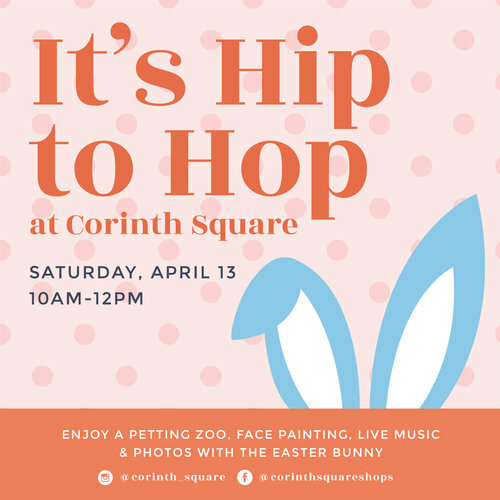 Saturday April 13 Corinth Square Shopping Center 10:00AM – Noon: It’s Hip-to-Hop Corinth Square will be jumpin’ with Easter fun! As you make your way around the center be sure to stop by the Learning Tree for take-home Spring time crafts, activities and give-aways. Come hop with us! Saturday May 25 Corinth Square Shopping Center 10:00AM-Noon: Join us for the 11th Annual Kid’s Flea Market: Kids and families, sign-up for a spot at this kid centered flea market. Set up your decorated booth to sell your outgrown toys, books and kid stuff! It’s a fun family neighborhood event whether you are selling or buying. Best part? When the flea market closes, any unwanted items will be loaded on to the Operation Break Through donation truck. * Jenny will be on Spring Break Thurs. 3/21 – NO CLASS.